The next phase of our revolution is serious food transport for school, work, and play. 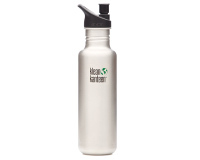 Tare It Up™ with bulk-ready Klean Kanteen® Food Canisters that replace a lifetime of throw-away plastic/paper containers and bags. 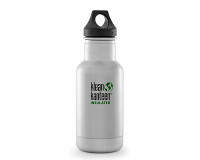 Great for storing food at home or taking it with you to work or play, these food containers are handcrafted from the same durable, healthy materials you've come to expect from every product in the Klean Kanteen family. 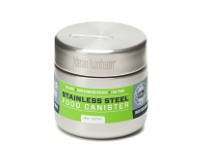 Canisters keep your food or dry goods fresh and tasty because they're made from high-quality, 18/8 food-grade stainless steel that doesn't absorb food flavors or odors. 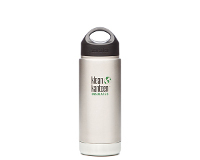 Better still, our vacuum insulated canisters can keep things toasty warm or icy cold en route. 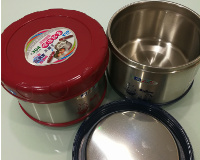 The wide opening allows easy scooping, pouring and cleaning. 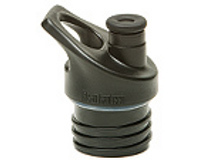 The lid creates 100% stainless steel interior and locks in flavor with an airtight seal. 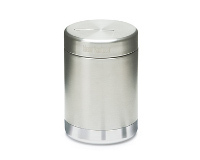 Our canisters are strong, durable, shatterproof, leak-proof, and beautiful as well.